Since September I have been working, on and off, on the fantastic collection of Indian botanical drawings at our sister organisation, Kew. This started out when asked to select some works for an exhibition of Indian paintings to be curated by William Dalrymple at the Wallace Collection in London next September. With the bit firmly between my teeth, I continued to do what I have been doing for the RBGE collection for the last two decades – taking the drawings out of their arrangement in a taxonomic sequence and reassembling them by commissioner and/or artist. Only after doing this is it possible to undertake serious research on the drawings and to start to restore lost information and context. The collections I am most interested in are those that had gone to Kew with the scandalous dispersal of the East India Company’s India Museum in 1879. Because Kew, in the 1890s, had generously given Edinburgh a relatively small number of drawings that were considered to be ‘duplicates’, I was familiar with most of the subgroupings. Before the dispersal India Office clerks had added pencil annotations identifying these subgroups, three of which are relevant to the present story. The self-explanatory ‘Buchanan’ and ‘Hamilton’ collections (Buchanan changed his name to Hamilton, in 1818, three years after his return to Scotland) and the enigmatic ‘Royle, Carey and Others’ (RCO). At Edinburgh we have eight ‘duplicates’ of the ‘Hamilton’ collection from Kew, two of which I reproduced in my Botanical Art from India (2017). At Kew, working on the much larger collections, it was possible to work out that the ‘Buchanan’ drawings were mainly copies of those he had made on his first expedition, to Burma in 1795, the originals of which are in the Banks Collection at the Natural History Museum, and that must have been sent back to the EIC by Buchanan himself prior to his departure from Indian in 1815. The ‘Hamilton’ collection must have been despatched from the Calcutta Botanic Garden after Buchanan’s 1818 name change, by Nathaniel Wallich. These too appeared to be copies of earlier drawings – made on thin paper, and only partly coloured. The biggest part of the RCO collection is of drawings made for Nathaniel Wallich in the 1820s. 300 of these were lithographed for his sumptuous Plantae Asiaticae Rariores while he was in leave on London between 1828 and 1832, during which time he also curated the massive EIC herbarium. The second largest group prove to have been made for John Forbes Royle at the Saharunpur Garden in NW India, by the Calcutta artists, lent to him by Wallich while the latter was in London. These include many of the original drawings for Royle’s Illustrations of the …. Botany of the Himalayan Mountains. The third largest group of the RCO collection is characterised by the plant name in an ink, copper-plate script at the bottom centre of the drawing. I realised that many of these names were Buchanan ones (mostly not published), confirmed in the cases where it was possible to see the verso of the drawing, where the same name was written in Buchanan’s own hand. This collection turns out to represent the original drawings for his great Survey of Bengal undertaken between 1807 and 1814. Buchanan took artists on this, but only had plants drawn that had not already been illustrated for William Roxburgh, so over the long course of the Survey, only 138 botanical drawings were made. When Buchanan left India in early 1815 the Governor General, the Marquis of Hastings, (much to Buchanan’s fury) ordered that the Bengal Survey drawings be kept in Calcutta. 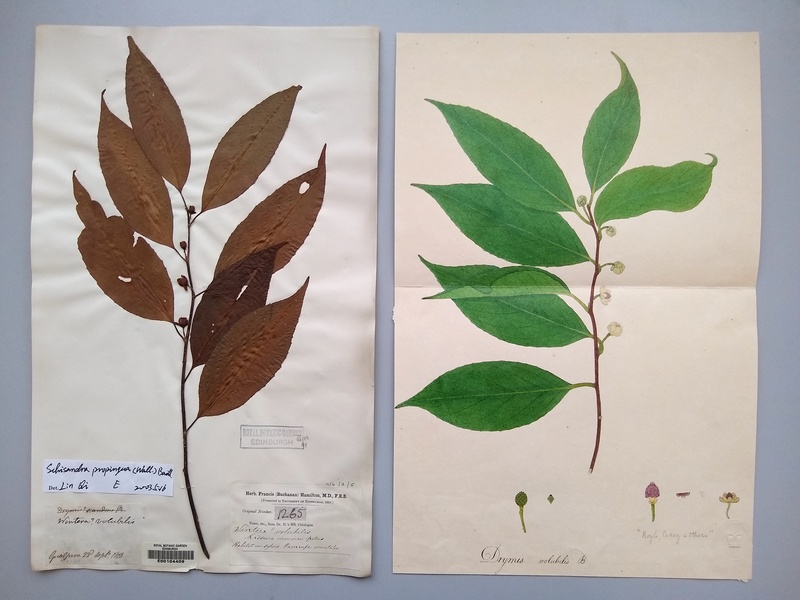 Buchanan had intended taking them back with the related herbarium specimens to present to the India Museum, and he needed the drawings in order to be able properly to describe and curate the collection. In 1816 James Hare was acting Superintendent of Calcutta Botanic Garden, and was allowed to have copies of Buchanan’s Bengal drawings made for despatch to London. 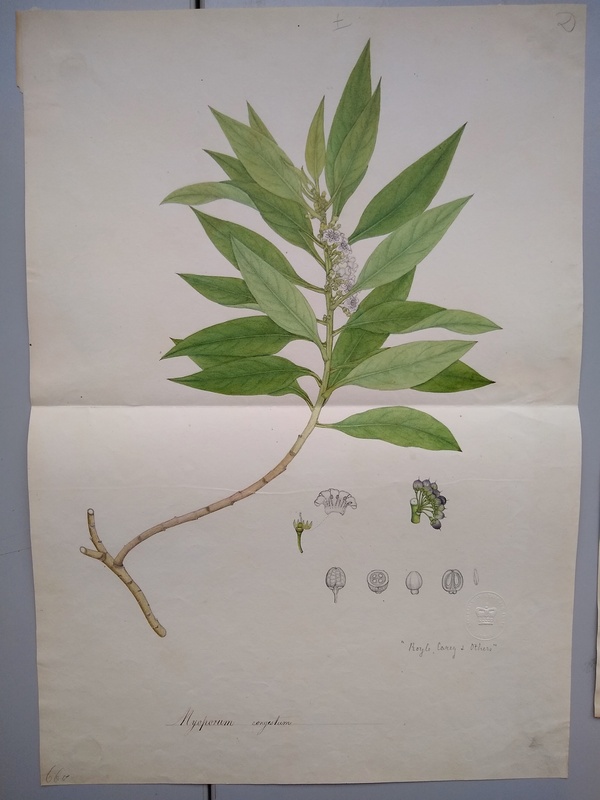 It seems that there was some delay in sending these, but they are the ones annotated ‘Hamilton’ that have ended up at Kew. That the original drawings were later sent back to London was previously unknown. They must have been sent much later, by which time it must have been forgotten what they were (they bear no locality details or dates), which is why they entered a general collection that was later designated ‘Royle, Carey and Others’. Back in his Highland fastness, at Leny near Callander, Buchanan curated his rich Bengal herbarium, made two copies of its catalogue in his own meticulous hand. 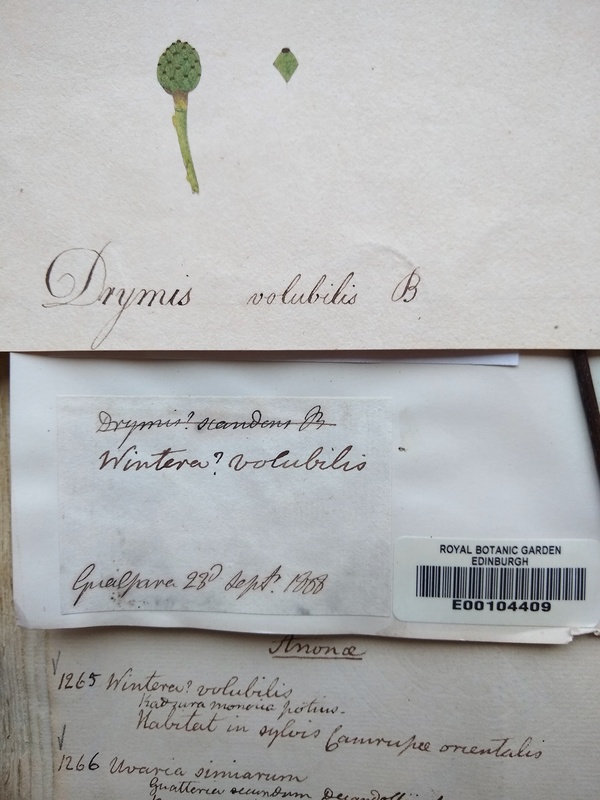 One set of specimens and a copy of the catalogue he sent to India House; some seven or eight years later this set was distributed by Wallich along with the rest of the EIC herbarium. Buchanan’s (by now Hamilton’s) own set of specimens and catalogue was left by him to his alma mater Edinburgh University; it now forms one of the great Indian treasures of the RBGE herbarium. It has been an incredible thrill to be able to match the original drawings with the catalogue entries, though this took some time as the Catalogue is arranged in Linnaean Order. Furthermore, Buchanan changed his mind over some of the identifications and names between the time the drawings were made, and the cataloguing of the specimens – not, thanks to the miserable Marquess, that he had the drawings to aid him. 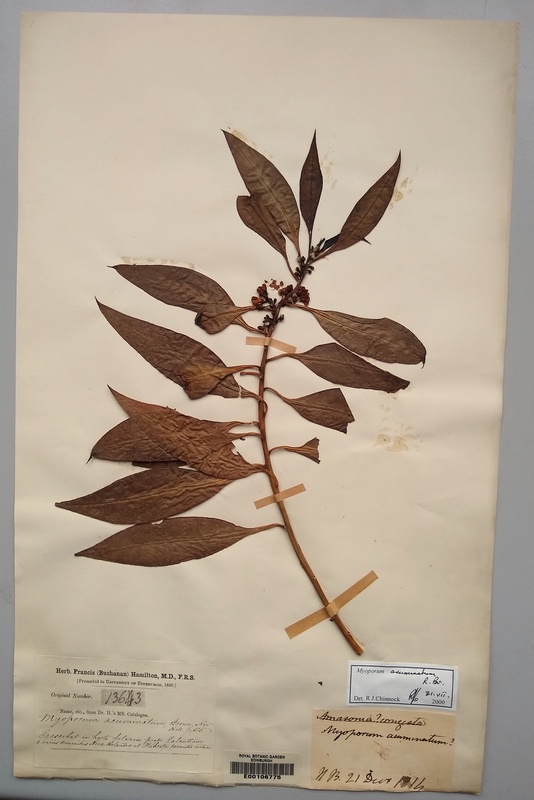 After finding the catalogue entries it was then a case of going to the herbarium, where it has proved possible to find almost all of the original voucher specimens. It has thus also been possible to add the missing data to the drawings – the precise date and place of their creation by Buchanan’s artists, one of whom was probably Haludar, who had worked for him on previous surveys of Mysore and Nepal, another possibly being Vishnupersaud. The largest number of drawings (19) was made at Goalpara in Assam (on the south bank of the Brahmaputra, looking across to the mountains of Bhutan) the summer of 1808. The second largest group (15) at Nathpur (now in Bihar, on the east bank of the Khosi River, looking north to Nepal) in the summer of 1810. But it is also touching to think of Buchanan, while packing up his possessions and affairs, after a quite remarkably productive twenty-year Indian career over Christmas of 1814, supervising a final few drawings. Two of the specimens that happen to have ended up in Edinburgh are shown here, with their related catalogue entries and drawings. It is interesting to note that Myoporum acuminatum is native to New South Wales, and yet was in cultivation in the Calcutta Botanic Garden as early as 1814. Buchanan(-Hamilton) clearly had difficulty with assigning a genus to what is now identified as Schisandra propinqua, accounting for the puzzling ‘Drymis’ on the drawing and ‘Wintera?’ on the specimen label, but by time he wrote the Catalogue he was on the right track, relating it to a monecious Kadsura. 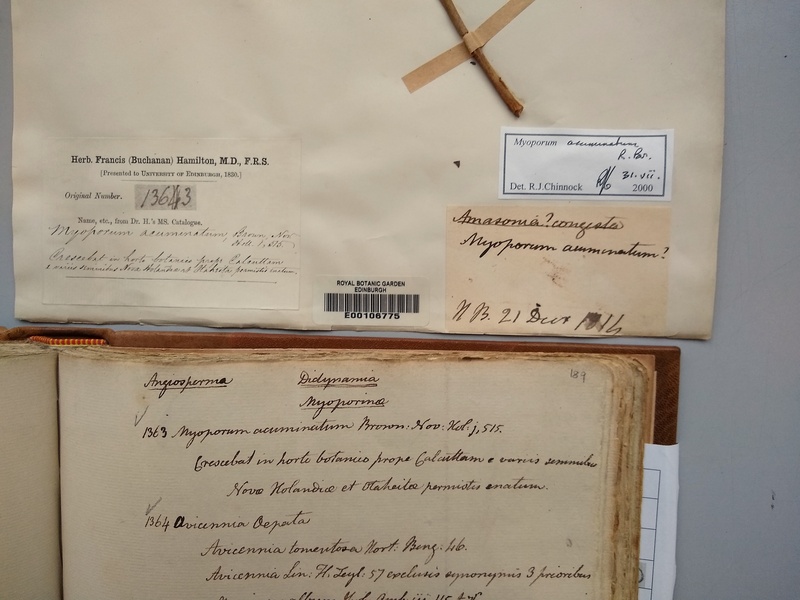 I have now found 101 of the 138 Bengal drawings, and there is hope of more, as staff at Kew are still looking out pre-1900 drawings from the taxonomic sequence held in the herbarium.